KHARTOUM, Sudan (AFP 9 Dec)–The Sudanese army said on Tuesday it has boosted its presence in the oil-rich region of South Kordofan in a bid to prevent any action by rebels from neighboring Darfur. “We have deployed in South Kordofan because we do not want any movements in the region by the Justice and Equality Movement,” an army spokesman said, referring to Darfur’s largest military rebel group. He said Sudanese forces began moving in to South Kordofan on Saturday but did not disclose how many troops were involved or if there was a direct threat by the rebels. Kordofan is a vast region in the heart of the country divided into two states, North and South, and Khartoum has accused Darfur rebels of trying to bring the area into their own conflict with the Arab-led government of Sudan. It lies on the border with Darfur, which has been ravaged by a war between the government and rebels since 2003 that the United Nations estimates has left 300, 000 people dead and 2.7 million homeless. The political and administrative status of Abyei, in South Kordofan, remains one of the most contentious outstanding issues in the implementation of a north- south peace deal in Sudan. 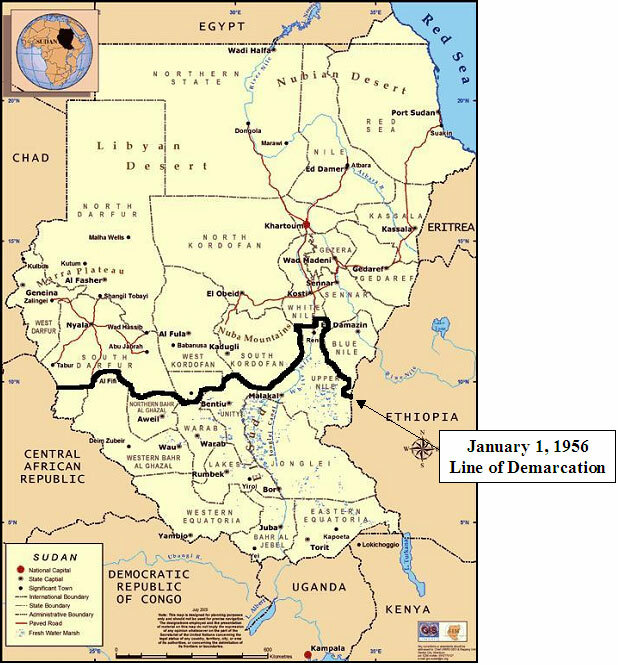 In 2011, Abyei is scheduled to hold a referendum on whether to retain its special administrative status in the north or join the south, which could decide in a separate referendum to secede from the north.